From the mind of comedian Jeff Dunham! 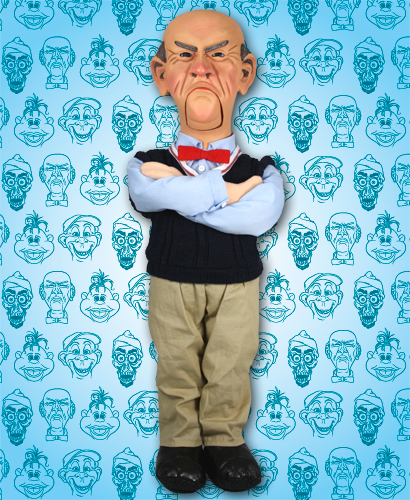 When asked if he wanted to be animatronic, Walter replied, “Who the hell cares?” We took that as a yes and created this doll that moves and talks at the same time. Just push his hand and watch his mouth move to 10 of his signature catchphrases! The 18″ Walter Doll is dressed in fabric clothing over a soft body with plastic molded head. Uses three AA batteries (included). Ages 14+.